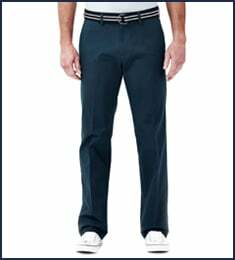 Big & Tall Cool 18® Pro Pant is rated 4.7 out of 5 by 20. Rated 5 out of 5 by FreeNBreezy from Yes if you are looking for a light weight pair of pants with lots of room especially in the crotch that feel good, breath, and you can move in and not feel like you are wearing restrictive clothing buy these pants. a summer pair or hot weather pair of pants. Rated 5 out of 5 by jsj9464 from Big & Tall Men's Pants My weight has fluctuated this year due to dieting. As I have lost weight, I purchased different sizes of Haggar Cool 18 Pro pants. I have been happy with all of them. They are well made and the fit is great. I especially like the lightweight feel of the pants. They are "airy" and help keep me dry in the seat even when I am active. 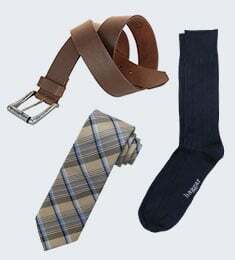 I also like the band of material in the waist that helps keep your shirt tucked in your pants. The extra belt loops on the pants make it easier to appear neat with a belt. 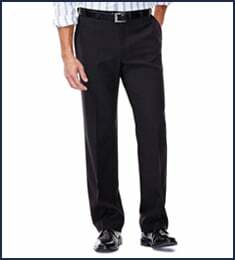 I think that the pants I've purchased from Haggar Online represent great value for both quality and price. Rated 5 out of 5 by georgeH from Fabric is luxurious and the fit was accurate. I bought these 1 month ago and have been very pleased so far. I would recommend this product . Rated 5 out of 5 by LHub from Great pants and price! My husbands finds these pants very comfortable, and I think they look nice on him. He is very hot-natured, so my challenge is to find budget-friendly, lightweight pants that do not look too thin or cheap. I am very happy with this purchase. 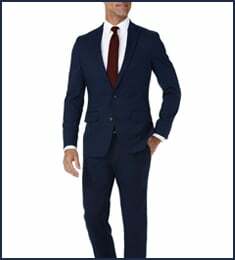 I originally searched for this brand because he had an older pair of Haggar dress pants that still looked nice after a few years of wear. Rated 5 out of 5 by Overseer from Best pants ever These pants are some of my very favorites and are well made. Rated 5 out of 5 by DanB from Comfortable Pants These pants are great and fit as expected. I will purchase them again, no doubt.